This Sunday November 11th is Remembrance Day. On this day, the 53 member states of the Commonwealth commemorate the end of the First World War and the members of their armed forces who died in the line of duty. The First World War officially ended with the signing of the Treaty of Versailles on 28 June 1919. Hostilities formally ended “at the 11th hour of the 11th day of the 11th month”. 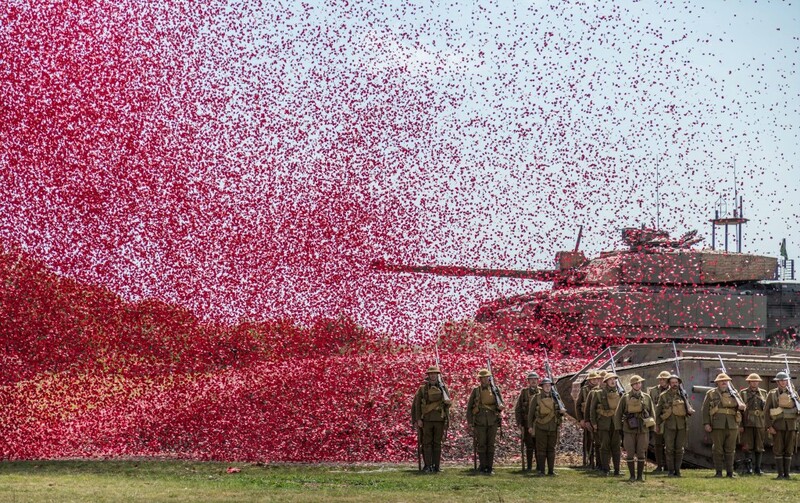 The red poppy has become a recognised symbol of Remembrance Day and their brilliant red colour has become a symbol for the blood spilled in the war. The tradition of wearing poppies on Rememberance Day came about after a Canadian physician named Lieutenant-Colonel John McCrae wrote the poem “In Flanders Fields”. This poem was then read by Moina Michael, a professor at the University of Georgia, who went on to write a poem herself called, “We Shall Keep the Faith”. Moina swore to wear a red poppy on the anniversary. Within three years, the custom had spread to Europe and the countries of the British Empire and Commonwealth . Poppies were worn for the first time at the 1921 anniversary ceremony. Today’s Pic of The Week comes courtesy of Sheila Haycox and is aptly called ‘World War 1 Centenary’.